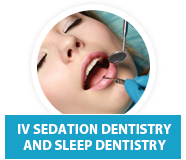 Sedation dentistry aka sleep dentistry normally has very few side effects. A sedation dentistry patient is asked to not eat or drink for 12 hours prior to the sleep dentistry appointment. The medications used for sedation are very safe and have been used for 10s of years and are the gold standard for medical sedation in general including sedation dentistry. Sleep dentistry can save your nerves and fears and save lots of time and money as well. If you are facing high anxiety of dental care and you need lots of scary work, it may be best to get it all done in one easy sleep dentistry appointment by a qualified sedation dentist. Sedation dentistry is a good option for those who avoid the dentist because of dental anxiety, severe teeth sensitivity, severe gagging or any other reason where dental appointments are not tolerable. 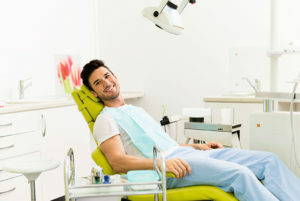 Additionally, situations where dental treatment may be more complex and where many procedures may need to be done, sedation dentistry can make it possible to get large amounts of dentistry done at one time while the patient comfortably sleeps saving much stress, multiple appointments and trips to and from the dentist. Sleep dentistry patients will be asked to rest for 12 hours after their sleep dentistry appointment and to drink a lot of water. Most patients will be tired after their appointment, but this is typically the main side effect we see after sedation dentistry appointments. Most patients who have IV sedation at the dentist will not remember their dental appointment, but isn’t that the entire point? We recommend going home and relaxing on the couch after being seen by the sedation dentist. Perhaps, a Netflix movie marathon, but don’t count on remembering the Power or Ozark episodes the next day. Patients are asked not to eat for 12 hours before a sleep dentistry appointment. It is very important to follow this direction. Patients who do not follow these directions may became very sick to their stomach during and/or after sedation dentistry. IV sedation patients are also not allowed to drive or make legal decisions for 24 hours after there appointment. These are the main IV sedation dentistry side effects. If you have a fear of the dentist, you should give us a call for a no cost consultation with Dr Gary Adams about sedation and sleep dentistry.